U.S. Rep. (and Minority Leader) Nancy Pelosi. 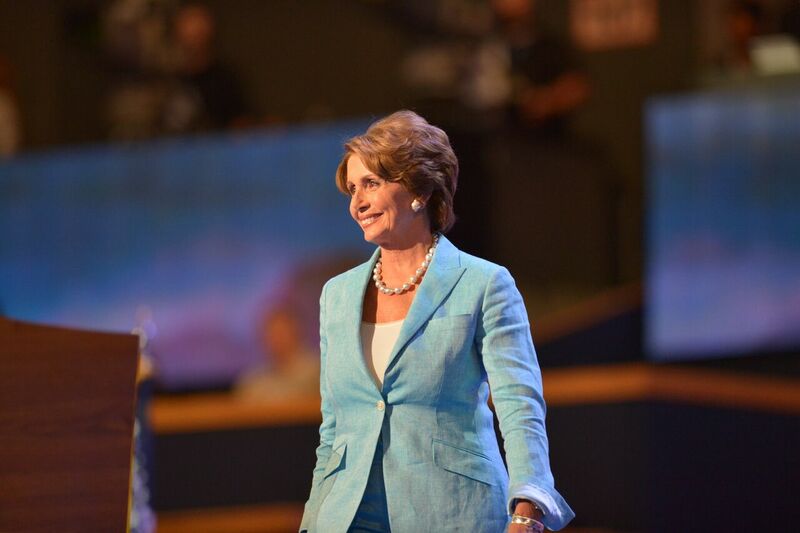 “We are thrilled to have Democratic Congressional Leader, Nancy Pelosi, as the speaker at our annual Fall Gala. She will speak about the power of women in politics and the importance of electing women at all levels of government. “Nancy Pelosi is not just an icon in her commitment to strengthen the middle class and her advocacy for women, she epitomizes the ideas on which this organization was founded. Nancy Pelosi is the former Speaker of the House (2007-2011), the first woman to do so in American history. Vaughn noted Pelosi was instrumental in pushing for the health care reform legislation that became the Affordable Care Act (Obamacare) in 2010. “Our hope is that Democratic Leader Nancy Pelosi’s experience will inspire current and future leaders, particularly women leaders, here in our community to stand up and make a difference on the issues about which they feel most passionately,” she said. CCDWLI has successfully brought prominent national figures to Chester County for our yearly events. In 2016, we proudly hosted civil rights and labor leader Lilly Ledbetter as the speaker at our Fall Gala. In the spring of 2017, we were honored to host women’s health and reproductive rights advocate Wendy Davis. In the fall of 2017, we were privileged to host former Second Lady (2009-2015) and lifelong educator, Dr. Jill Biden. Most recently, veteran political strategist and former Democratic National Committee (DNC) chair, Donna Brazile, addressed our organization this past spring. The CCDWLI is pleased that the proceeds from the Fall Gala will continue to strengthen our organization and allow us to support Democratic candidates up and down the ballot here in Chester County who share the values of this organization and the values of our community. The CCDWLI, founded in 2015, is a chapter of the Pennsylvania Federation of Democratic Women (PFDW). In a short time, the CCDWLI has established a proven track record of success and has quickly become the state’s largest PFDW chapter in Pennsylvania. The CCDWLI Leadership Team has successfully focused on growing the organization, raising the resources to support Democratic candidates for office, and offering programs that promote a meaningful discourse on the role of women leaders in our community and our country.